Google material design is everywhere, you see burgers menu, cards, parallax and much more every other site that is following latest design trends. I have ventured into material design for close to a year now, currently leading UX team in my role here at Intuitive Surgical, I started having classes and lots of brainstorming session on wire-framing and deep diving on human psychologies involved in develop lean and clear interface. I was intrigued by how material design came into picture and wrote blog post on using google material design libraries with salesforce and another post here. 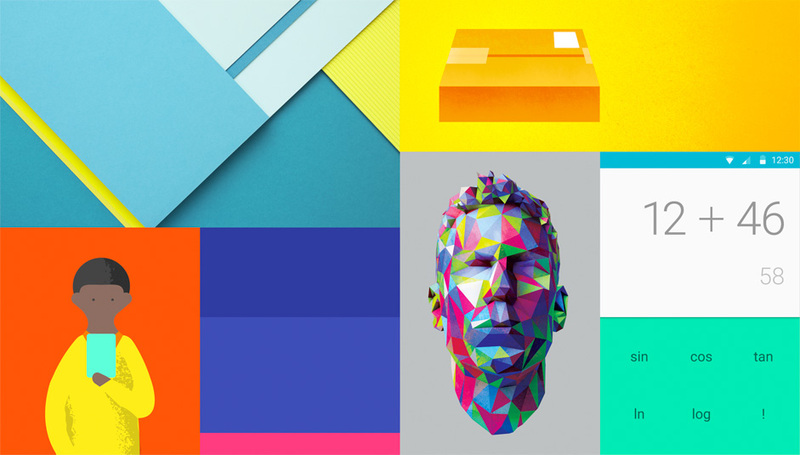 Eventually, I gather so many resource of material design and I would like to share out. Officially by google, this page provide basic UX guideline for building interactive views, including color combination, layout transition and justify material metaphor neatly. Design and make your combination of material colors that fit the persona of your application through palette in realtime. This is one my favorite website and most frequently used. Beautiful color generator leveraging the sense of soft material colors, this page auto generate combinations which are handpicked and sensible for making corporate and person application using material phycology. 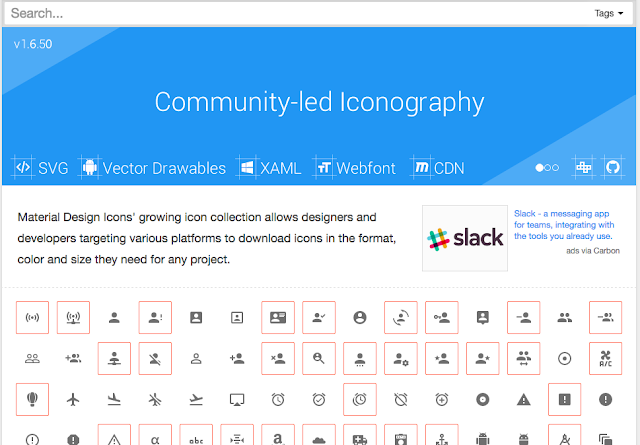 Beautiful Material icons, though I do not like their naming conventions used in this library for icons, but they are very intuitive in UX in look in relation to font-awesome library, this is collection officially provided by Google. Official Google Chrome extension that generate multiple cards with beautiful color and font combination that offer great sense of typography with every new tab you open in chrome browser. if you are deep into UX this is must install chrome extension to keep you engaged and enlighten randomly. A collection material inspired components written on Angular 2, easy to import and use, though this is in beta, but quite mature in itself. 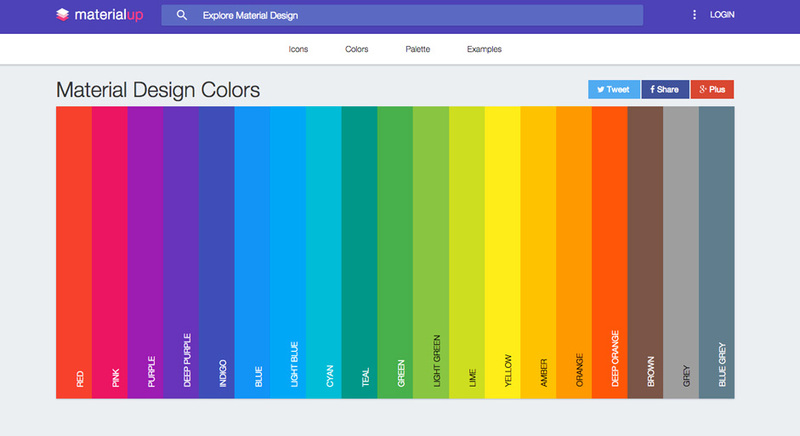 MUI is a lightweight CSS framework that follows Google's Material Design guidelines. Just as Material UI, it works on React JS library, so there will be no problem in mastering MUI if you are familiar with this tool. Angular Material is a UI framework for users of AngularJS 1.0 and 1.5. 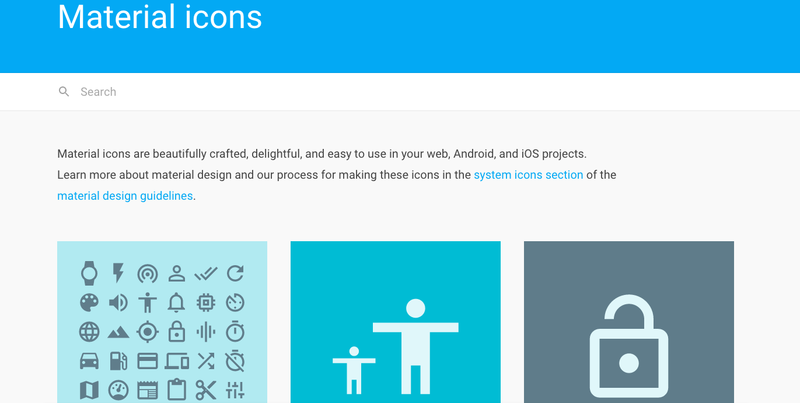 It gives you control over a massive collection of user interface components compliant with the Google’s guidelines for material design. 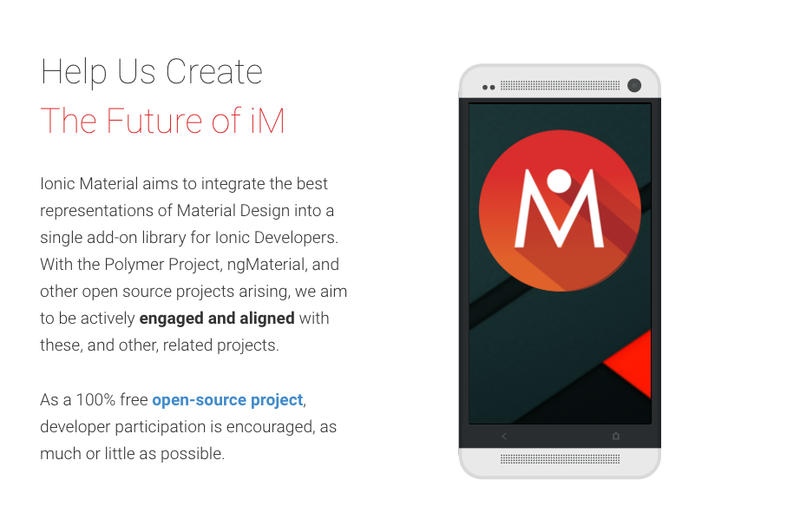 Ionic Material is the extension library to the Ionic mobile app framework. 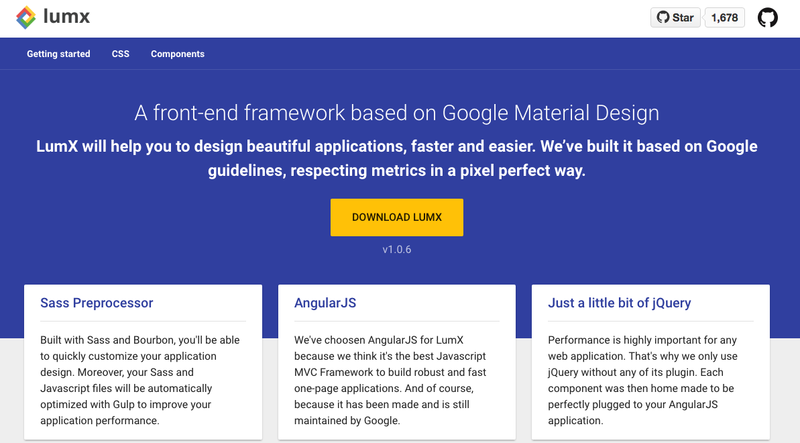 LumX is a front-end framework based on Google Material Design.